Today was the special occasion of 100 years since the birth of Nikola Vaptsarov. 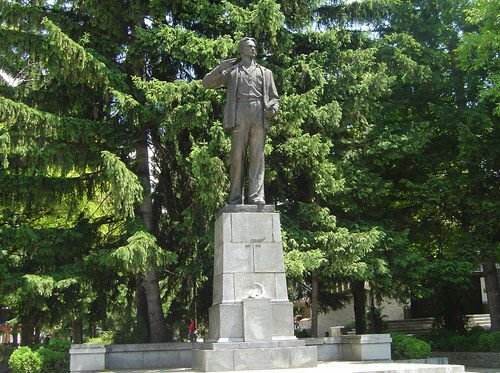 Flowers and wreaths were left at the poets monument today in Bansko. The celebration was attended by Mayor Alexander Kravarov, Deputy National Assembly Chairman Georgi Pirinski, Georgi Ikonomov, the management of Bansko Municipality, many residents and guests of the town and the press center of the city hall in the resort town. On the occasion of the 100th anniversary of Nikola Vaptsarov the Blagoevgrad Dramatic Theater presented the spectacle "wrong and bright", which made the audience stand up and applauded the artists dramatically.